What's the safest paramotor in the world? That's a really difficult question, as there are some great choices out there. But many manufacturers are still overlooking some important safety issues that really need addressing. Let's find out what you need to look for, and what you need to avoid, to help you find the safest paramotor available. 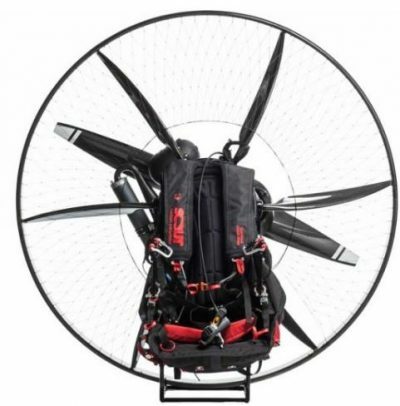 Later in this post I'll tell you my choice of what I believe is the safest paramotor. Remember, this website is unbiased, and this is the machine that has impressed me the most safety wise. You may find that a different paramotor ticks all of your boxes, so always do your research before buying. Paramotors have come a long way in the last few years. When I began flying, it was easy to buy a paramotor that looked great, but flew terribly. Finding a paramotor that has great flight characteristics is fairly easy nowadays, but finding one that ticks all of the safety boxes can be more difficult. Here's the main things to look out for. In a recent post we discussed a common problem with paramotor cages and netting. This problem unfortunately lead to two known cases of finger amputation, on two different brands of paramotor, within the space of nine months. 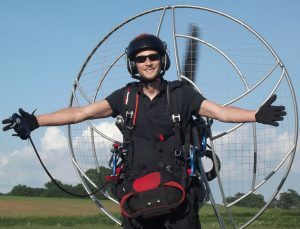 There was no statement from either manufacturer, and their paramotors haven't been changed to prevent further accidents. You can read about the accidents, and my own close call HERE. With this in mind, you need to be very careful when buying a paramotor that has gaps in the cage or netting. There will always be some small gaps on paramotors that reduce down for transport, but look at where the gaps are. If the pilots hand, or the throttle cable can pass through the gap as the pilots arm is lowered, it's an accident waiting to happen. There should be no gaps anywhere near the brake handles, and the netting should be strong and tight. Either avoid these paramotors altogether, or make your own modifications after purchase to close the gaps. Under full power (full throttle), the propeller can flex back towards the fuel tank. This had lead to fuel tank strikes, and at least two fires in the past. This is the last thing you want 2000 feet in the air when you can't descend fast enough to land. With this in mind, it's important to look at the clearance between the propeller and the fuel tank. And bare in mind that a simple trip during takeoff can also push the propeller in towards the tank. The outer hoop of the cage should provide protection from the tips of the propeller, to prevent contact with wing lines. The propeller will usually protrude slightly from the rear, but the tips need to be covered from the angle the lines approach them. The cage should also be tough enough to hold its shape during a forward launch. Many thin tubular cages will flex as the lines pull against them, this can cause the propeller to impact the cage or the lines. Torque compensation: most paramotors have some kind of torque compensation, but there are still some manufacturers that are lagging behind. This will help keep the paramotor flying straight, and lower the chances of torque twist. Harness backup straps: if something breaks on the harness, you'll need a backup. Look for backup straps on all of the load bearing points, some paramotor harnesses still aren't backed up! 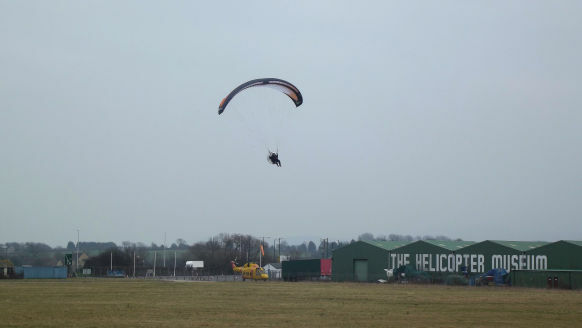 Stability on the ground: the paramotor should be stable when ground starting. If the machine can easily tip over in any direction, a prop injury is more likely. Active safety: we've looked at passive safety, but active safety should also be on your list. Look for easily reachable harness mount reserve containers, easily reachable pull start handles for in flight starting, easy flotation device mounting, etc. You may think I'm going to tell you the paramotor I'm currently flying is the safest unit available.. but it's not. Although it's a fairly safe paramotor, it's flawed by the gaps in the cage which have let my throttle cable pass through on multiple occasions. Fortunately, my hand wasn't dragged into the propeller like the incidents mentioned earlier, but this problem needs fixing asap by the manufacturer. I wasn't aware of the cage / netting problem when I bought my paramotor, if I was, I would have searched for a different unit. So what paramotor will I buy next? During my search, the paramotor that has impressed me the most for both design and safety, is the Scout. Is the scout the safest paramotor? One of the most attractive safety features for me is the safe start. Safe start is a small computer that you can easily turn on or off, that prevents the scout's engine revving uncontrollably during startup. A massive problem, and one of the biggest causes of propeller injuries, is caused by jammed throttle cables, or carburettor problems after maintenance. Pilots start their engine and the motor goes straight to full power, flipping the paramotor over, and causing the propeller to hit the pilot. The safe start keeps the revs low (below 3000 RPM) while you start and warm up your engine. When you're ready to takeoff, you simply flip a switch to disengage it. This feature is currently standard on all Scout paramotors, I don't know of any other manufacturers that are using it as a standard feature. Safe start works great, but it's still not totally foolproof. One thing to be aware of is the safe start switch, and remembering whether or not it's engaged. A recent incident in the UK left a pilot without fingers because he forgot that his safe start was disengaged. He started his engine to show off his new smoke system, the motor went to full power and flipped straight into his hand. Many manufacturers use a simple bolt to hold the swingarms in place, this means the bolt is taking all of the load, continuously. Some manoeuvres can place massive amounts of force on the swingarms, which can cause the bolt to shear. Scout use what they're calling a smart bar attachment, that uses a 22 mm bush to take the load completely off the bolt. The bolt is there simply to stop the swingarm sliding off the bush. Scout have included a lightweight carbon fibre shield to protect the pilots back in the event of a crash. The shield is placed behind the seat, and prevents any of the framework from injuring the pilots spine during impact. Under the seat you will find a reserve container with an easy to reach pull handle. The harness also allows easy integration of a flotation device to keep you safe while flying over water. To make sure the Scout can handle the massive amounts of force that many paramotorists will put it through, the machine is load tested to over 2 tons. The harness and frame are both certified according to European Standard EN 1651, and tested to a massive 2250 KG. This means pilots can rest assured that nothing will break when performing acro manoeuvres that can produce over 10 G of force. They even got world champion acro pilots to put it through its paces with some infinity tumbling! As you'd expect from a paramotor that breaks down for transport, the Scout does have some gaps in the netting. But because of the spar placement, the throttle cable will not pass through into the propeller. Because of the small gap around the centre, it's recommended (as always) that you tuck in hoods and long hair before flying. There has been some concern that the carbon fibre can break and splinter during a crash, which could result in injury. Carbon fibre can become quite brittle during heavy impacts, so I would suggest opting for the enduro model which uses 7075 T6 aluminium for its cage and spars. So there you have it, my choice of the safest paramotor in the world. When it comes to flying, you can never be too cautious, and you can never have too many safety features. 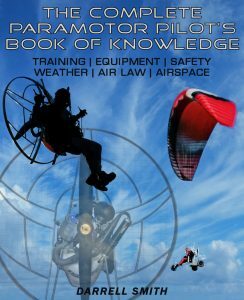 The safer the paramotor the better, so look for everything described in this post, and fly happily and injury free! Finding the safest paramotor wing will be much easier. There are many great wings to choose from, simply follow my wing guide HERE. When you have your paramotor and wing, check out some awesome helmets HERE or the recommended gear section HERE.